Coach House have longstanding regard for Kawai’s quest for excellence through generations of knowledge and expertise in piano building and are able to help you decide which model is best suited to your requirements. Our highly trained piano technicians have the greatest level of technical expertise as recognised by the leading musical academies in order to regulate, set up and tone Kawai pianos to their optimum performance to satisfy even the most demanding pianist! A visit to the Coach House showrooms offers you the unique opportunity to compare Kawai pianos, including the flagship, handcrafted Shigeru Kawai pianos alongside hundreds of pianos from other quality brand ranges such as Steinway & Sons, Yamaha, Bechstein, Bosendorfer and Schreiner & Söhne, ensuring you never have any doubt about the instrument you purchase. 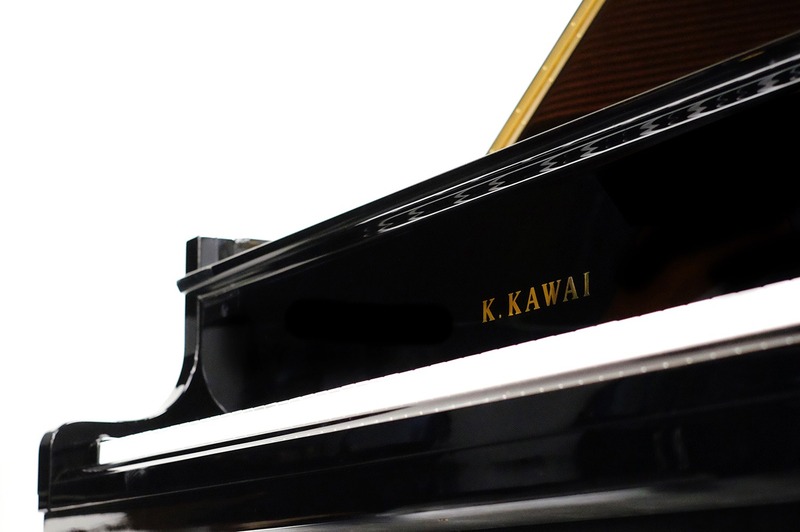 New Kawai pianos have a ten-year guarantee comprising of five-year manufacturer’s warranty and further extended five years parts only warranty. We not only have the privilege of being the preferred retailer of Shigeru Kawai, but we also have most Shigeru models on display in our showrooms for you to see, hear and play for yourself. Shigeru Kawai pianos are known and have been proven as the Premier Piano of Japan. With Unparalleled legacy, unsurpassed craftmanship and unrivalled advancement, the Shigeru model range offers six exquisite choices from the classic salon grand right through to the SK-EX concert grand. Experience the beauty and learn of the rich heritage of Shigeru Kawai pianos by watching this video. Kawai’s grand pianos translate the dynamic expressions of the pianist; with models to suit all venues from the home to the concert stage. Below is a brief overview of the different grand piano ranges, all available from Coach House – order online or try for yourself in our Kawai piano showroom. Combining all the essential grand piano qualities that are distinct to the Kawai brand, including the Millennium III action with extended key length, ensuring optimum touch and control. The range represents excellent value for money. This range is made up of six exceptional grand pianos that offer pianists a consistent level of performance. 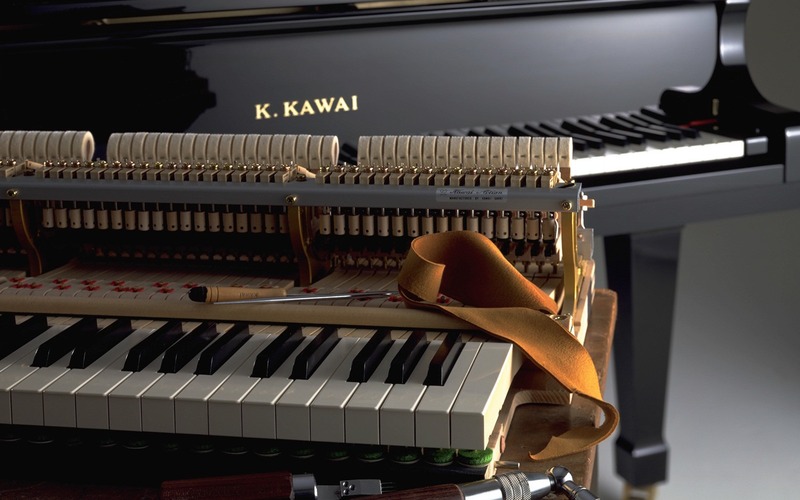 Each instrument portrays the Kawai character that has been honed by generations of experience and refinement. The pinnacle of Kawai’s extensive piano range. These finely crafted instruments exude the cultivation of passion and craftsmanship over many decades to deliver this unique collection of concert instruments. 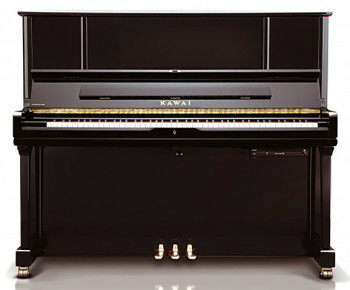 Kawai’s upright piano models boast a series designed to assist every budget and compel the pianist. Find the K Series pianos below, all available from Coach House. This series occupies a unique place in the market of reputable upright pianos with its ABS carbon parts and offers excellent value for money. Kawai builds digital pianos combining their knowledgeable experience in piano craftsmanship with their innovative technological capabilities. Below is a brief overview of the different digital piano ranges, all available from Coach House – order online or try for yourself in our Kawai piano centre. Perfect for the apartment or where space is a premium, this is a slimline instrument which doesn’t compromise on touch or tonal qualities. These are compact, portable, multi-purpose instruments with built-in speakers and realistic voices making it a versatile range of digital pianos. This is a range of professional stage pianos which offer excellent live performance control. This is an affordable range of digital pianos representing fantastic value without compromising musical performance. 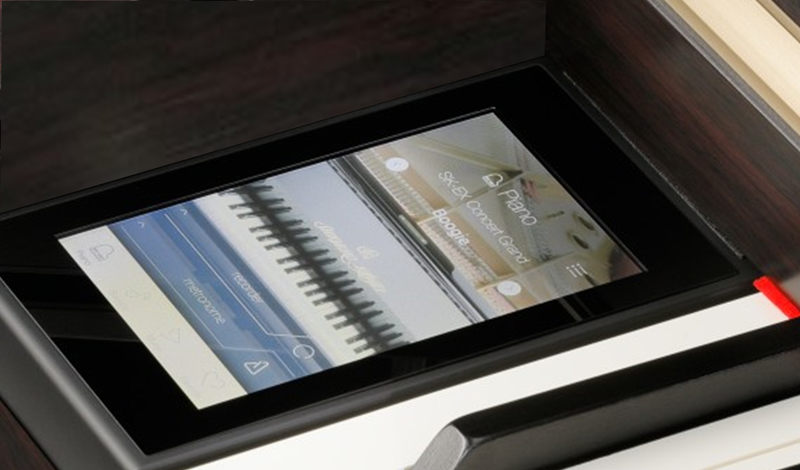 This is a luxury range of digital pianos which combines the finest digital piano technology with elite cabinet styling. 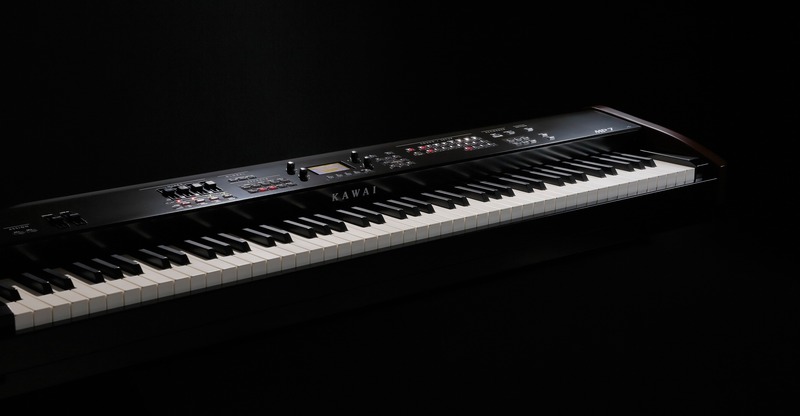 This is the flagship collection of Kawai’s digital pianos. These instruments combine the 88 years of expertise in piano manufacturing with the latest, elite digital technology. When purchasing a pre-owned Kawai piano, it is imperative to ensure that the instrument has not been badly reconditioned using non-correct Kawai parts. There are many Kawai pianos imported into the UK from the Far East which are sold as ‘reconditioned’ but contain low-grade, non-genuine parts. Whilst they aesthetically look good, they are an unwise investment and acoustically are deficient in tonal qualities due to poor workmanship and incorrect parts. It is very important to keep the feel of the original key touch weight and action, hence the emphasis on buying from an approved Kawai supplier. Coach House only supply second hand Kawai pianos that are either in first-class original condition or correctly overhauled using Kawai authentic materials. All pre-owned Kawai pianos are covered by the Coach House warranty. AnyTime X2 Silent Pianos – this is a factory fitted system which allows you to play your acoustic piano through headphones by incorporating a muting feature with powerful audio components. It provides the pianist with the option to play an acoustic piano or enjoy the distinct feeling of a traditional instrument without disturbing the family or neighbours! A ‘win-win’ solution! 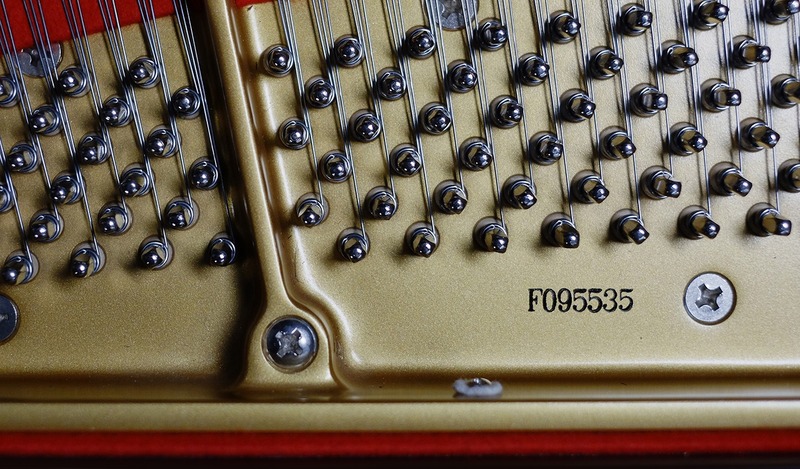 The age of a Kawai piano is determined by its serial number. This is found in black lettering on the iron frame. Grand pianos will have the number near the front centre of the frame whilst the upright piano numbers will be at the top middle or top right.